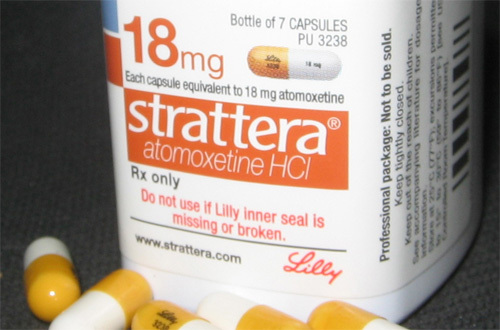 Adults in the UK with attention deficit hyperactivity disorder (ADHD) who were not prescribed medicine as a child will now have access to Lilly's Strattera after it was approved by the country's regulator. The Medicines and Healthcare Products Regulatory Agency (MHRA) granted authorisation to expand the indication of Strattera (atomoxetine) to initiate treatment of ADHD in adults, where pre-existing symptoms during childhood can be confirmed by a third-party. This adds to current indications covering its use to treat children and adolescents, as well as adults whose symptoms persist and who had been prescribed the drug when younger. The approval will be used as a basis for Lilly to gain EU-wide approval trough the European Medicines Agency (EMA) as part of the region's mutual recognition process. It is the first time a drug has gained ADHD approval in the EU for a specific adult use, and marks an important step for adults diagnosed with ADHD who were undiagnosed or misdiagnosed for other common mental health disorders during their childhood. “This can occur because the signs and symptoms of ADHD can overlap with those of other common mental health disorders,” said Professor Philip Asherson, Professor of Clinical and Molecular Psychiatry at King's College London and president of the UK Adult ADHD Network (UKAAN), “and because primary and secondary care mental health services may lack the training and experience required to accurately identify the disorder." According to Prof Asherson, this is especially significant as about two third of children and adolescent with ADHD continue to have symptoms into adulthood. In the UK alone, 1.7 million adults are estimated to have ADHD, with the condition able to impact family, work and social relationships. Uptake of Strattera in adults is likely to be influenced by guidance from National Institute for Health and Care Excellence (NICE) and the British Association of Psychopharmacology, both of which state adults with the condition have access to drug treatment. Strattera's new licence is backed by results from clinical trials that demonstrate it can achieve significant improvements in ADHD symptoms and quality of life outcomes.